Interlake Fleet 28 is made up of a diverse group of people who love to sail a boat that is at once a great racing boat and a family day-sailor. 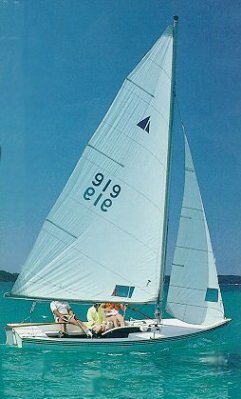 Although the Interlake was designed in the early 1930’s, she is still a beautiful, comfortable and competitive boat for today’s sailors and their families. She is easily handled by two people but appreciates a third for racing when the wind pipes up. For day-sailing, she will accommodate four easily. During the winter, the Fleet holds monthly social gatherings with a bit of business thrown in just to keep us on our toes and to plan events for the upcoming sailing season. Once we start sailing, we gather on the Interlake Boardwalk after racing to have some refreshment and a friendly chat about the day’s races. Then, we either have a casual cook-out on the Boardwalk or may decide to go to a local restaurant for dinner. We feel that the social aspect of our fleet has done much to make us one of the most FUN fleets at the club. The highlight of our season is the “Poltergeist” Regatta. 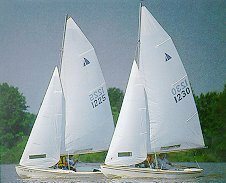 The “Poltergeist” is Fleet 28’s Interlake invitational regatta, which is held the first week-end in October in homage to the spirit that occupies Geist. Whatever your skill level, you will find people always willing to help you hone your skills as skipper or crew. Our fleet is divided into two or three sub fleets for sailors of various skill levels which guarantees you a competitive race regardless of your experience. We have trophies for each of these fleets so everyone has a good chance to bring home the “silver”. 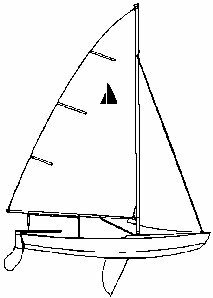 If you like sailing, or think you will, and want to have “FUN”, think of Interlake Fleet 28 give us a call and get on board. We welcome you to the Interlake Family!